"You are a chosen people, a royal priesthood, a holy nation, God'sspecial possession, that you may declare the praises of Him who called you out of darkness into His wonderful light." ​Three housewives, three generations, ten children — a unique blend of harmonizing eclectic styles. Michelle, Vikki & Carla rehearse with Garlan for a reunion concert. 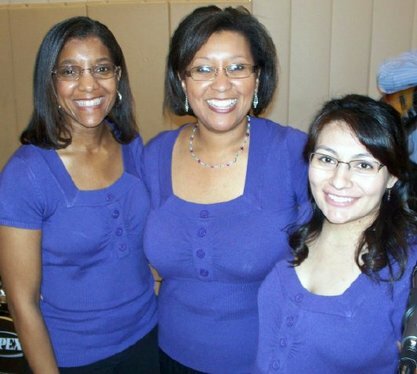 Carla Brown, Michelle Perez-Campbell and Vikki J. Myers came together as substitute musical worship leaders at their home church one Sunday morning over a decade ago. 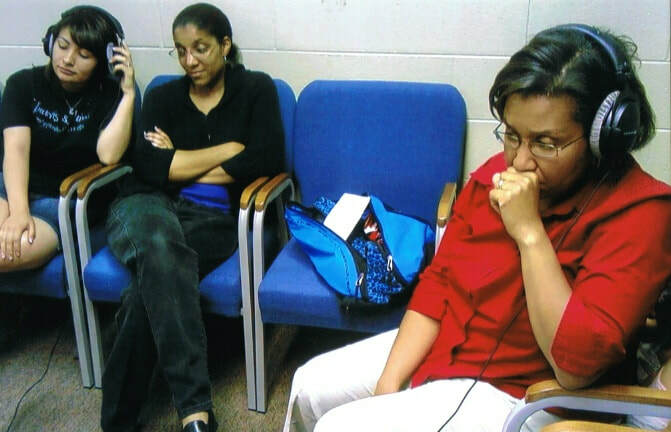 ​They soon discovered friendship, parenting and Scripture guidance called for more than a one-time appearance. 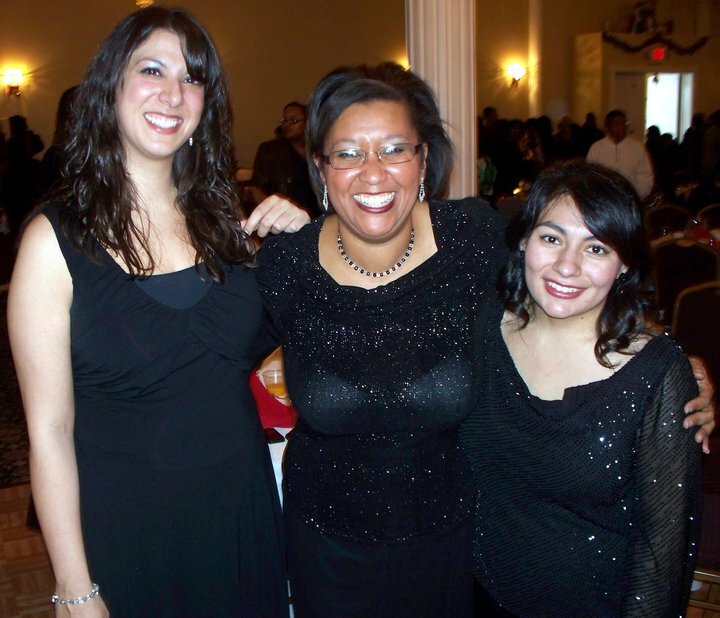 The 3 were Chosen to continue musical ministering despite time and distance. While other voices have been added to the blend, Chos3n remains a mix of old-time gospel, contemporary praise, bilingual celebration or a night at the opera that worships in spirit and truth. ​Other voices have included Stephanie Minervino, Marissa Brown and Andre De Mesquita, joining Garlan for a unique male-female blend. Whatever the combination, rest assured God has created the three-fold chord. Not just live, Chos3n has been, and can be, heard singing vocals on Vikki's CDs. The vision and dream is to have a Chos3n CD before long.